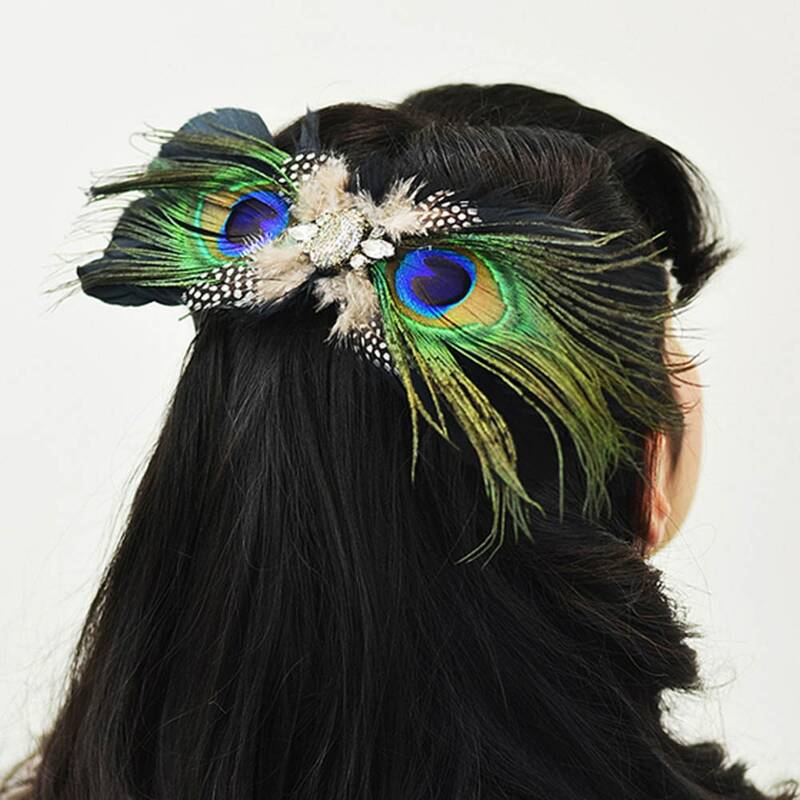 The Avanti Peacock Feather Brooch/Hairclip measures approximately 10" x 4", the actual size may vary. 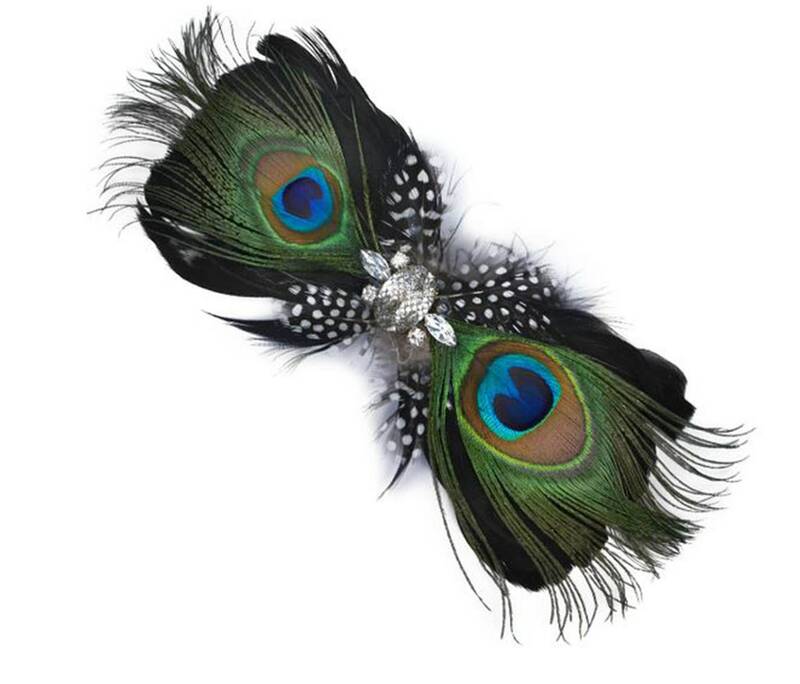 Avanti means modest but this brooch/hair clip is definitely ornate with it's netting wrapped crystal cabochon and sparkling pointed back gems. This beautiful brooch embellishes fashion apparel, hair accessories and handbags. Care Instructions: Do not launder natural or dyed feathers.